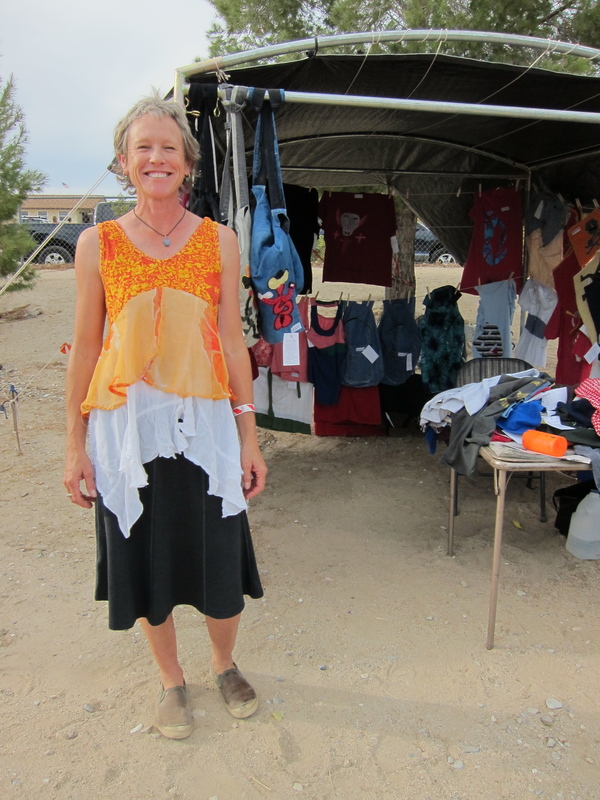 LONG BEACH, May 16, 2011 — /clothingnewswire/ — Last weekend, May 13 Frau Fiber, launched 48 hour destination boutique in Joshua Tree Camp ground. 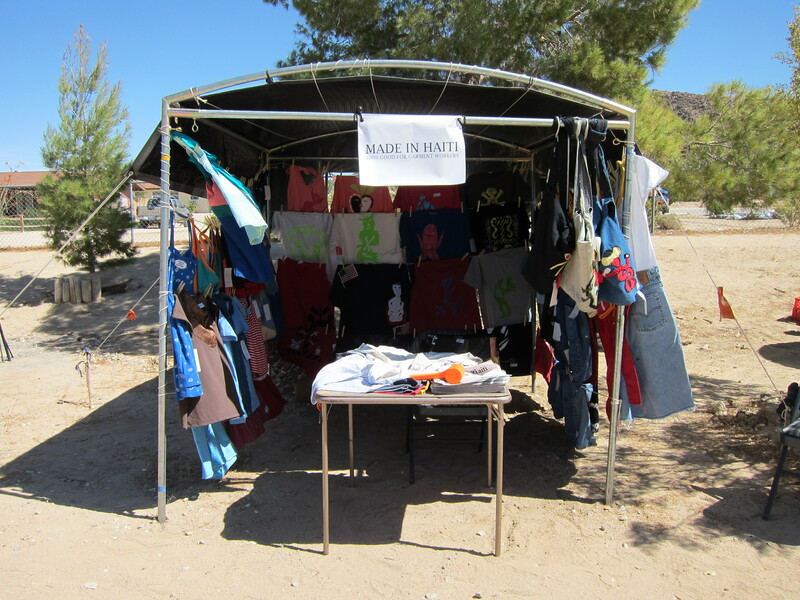 Located 2 hours east of the downtown Los Angeles Garment district, the 64 square foot store showcase primarily Made in Haiti 2009, 2010 and 2011 collections. 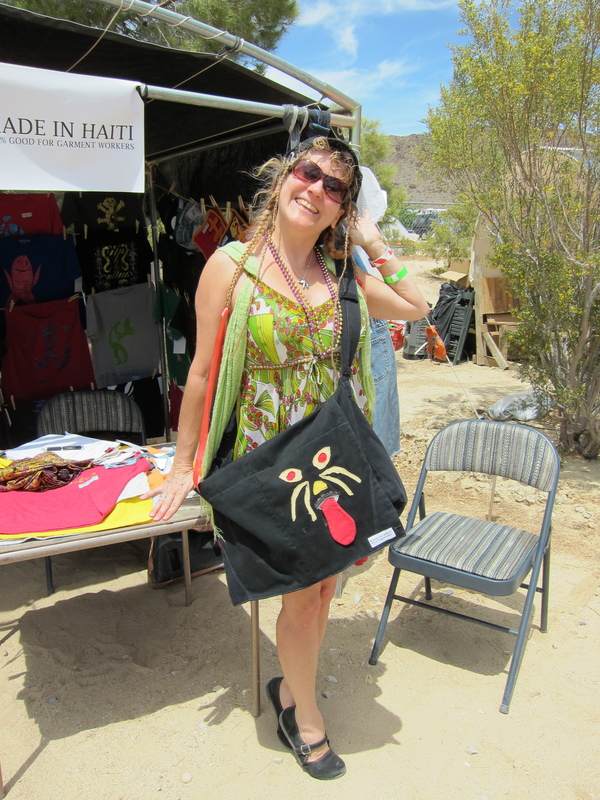 The store’s design, conceived by CB Bazile, was inspired by the Pepe vendors in Port Au Prince, making due with an existing frame, cotton rope was strung and cloths pins were used to highlight a spectacular display of larger than life stenciled t-shirts, by Londel, Claudel and Junior. 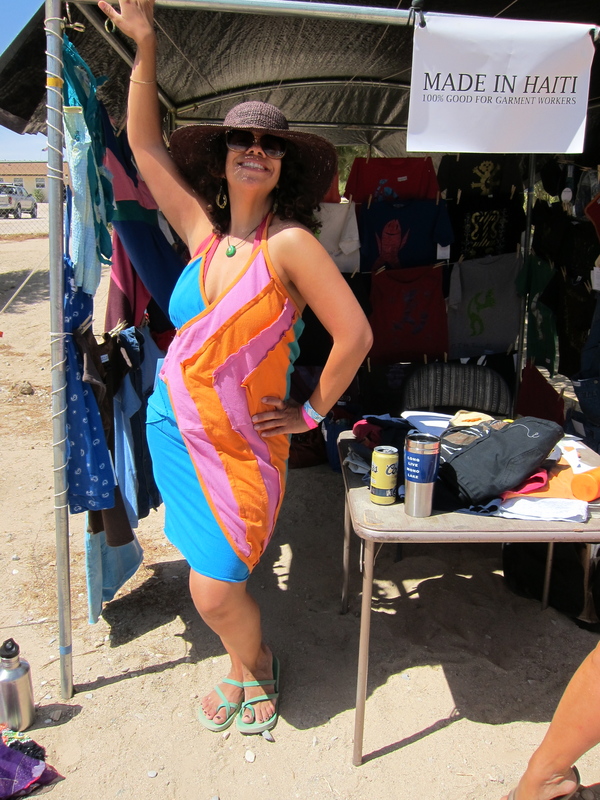 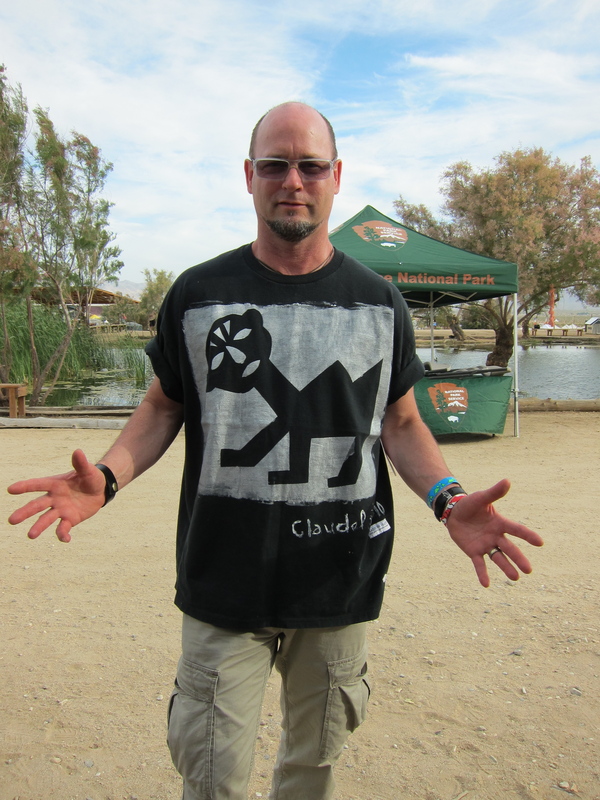 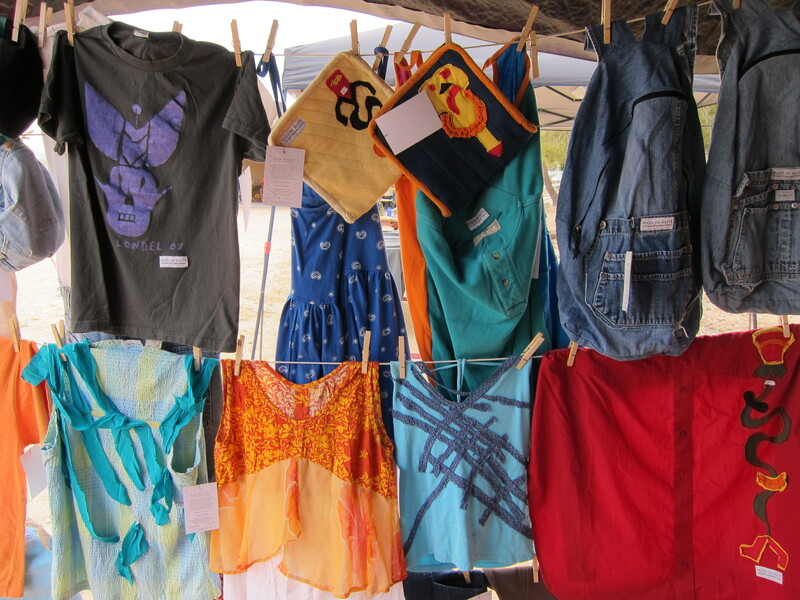 “Joshua Tree Music Festival goers loved our brand and what we do. 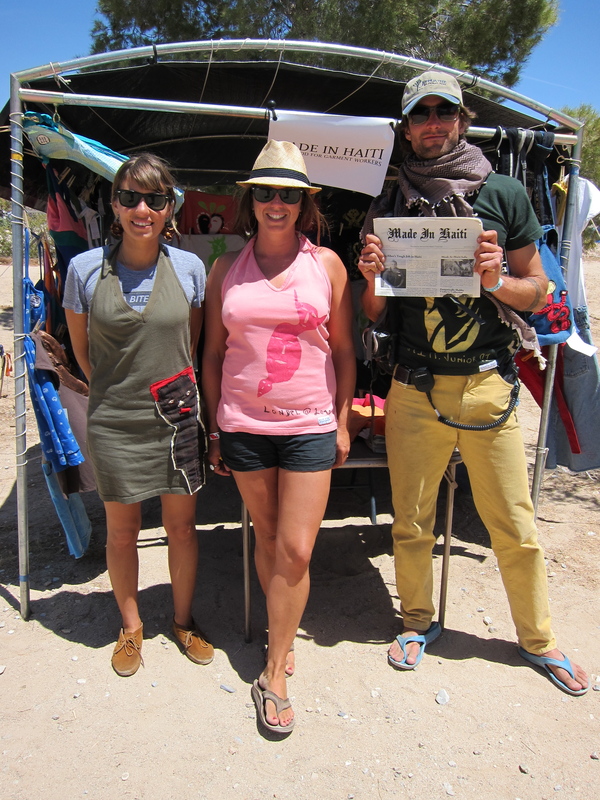 Joshua Tree is one of the hottest spots for summer shopping, featuring some of the world’s most celebrated antiques and nick knacks. 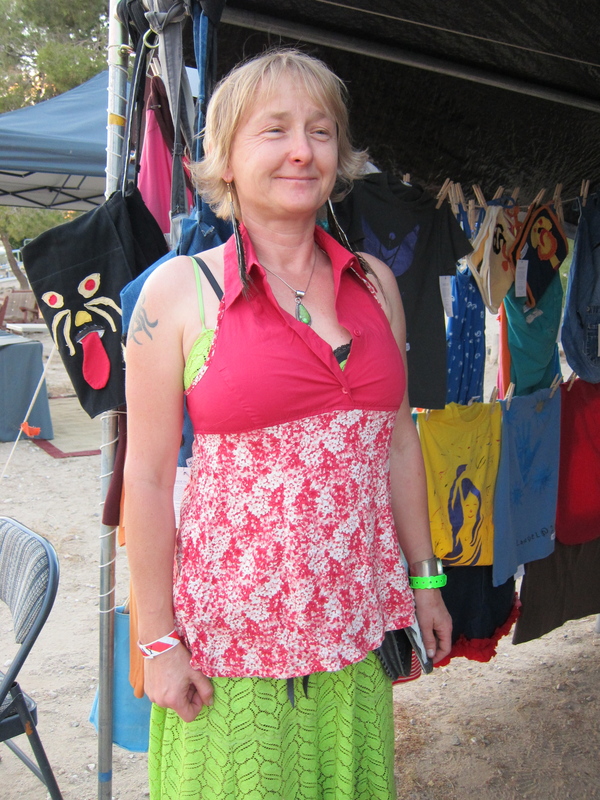 Widely known for being a trendsetter, Frau Fiber’s name is synonymous with creating some of the most iconic remade trends in the world.